Many are the times you get into a hairdresser’s room, and you find no right words to explain what you want. In such instance, you get to use a wordy explanation for the hairdresser. 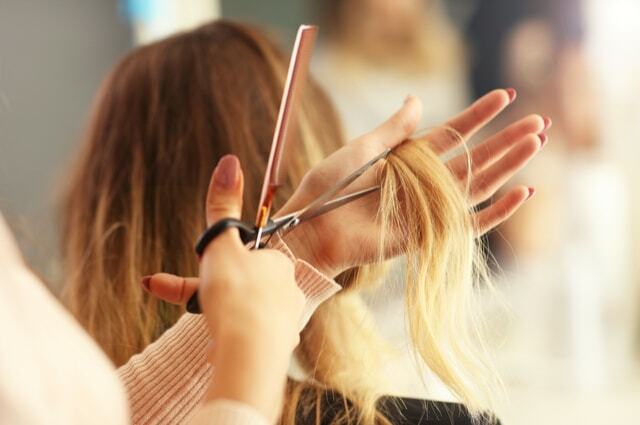 Fortunately, reputable hairdressers significantly get to understand your information and try to give a similar output or a closer result to your expectation. For your information, there is a lot of terminology in the hairdressing industry that you can use to express your desired results merely. In this article, you will learn important terminology and different ways to address the hairdressing expectations. • Texture and Thinning - Texture involves the state of your hair strands. How do they feel? The texture of hair may be skinny or course. Therefore, the thickness of the hair is an essential factor in determining styles that can work for you. Good barbers will inform you accordingly if a particular desire is not best with the kind of hair structure you have. Sometimes they may recommend you to have a thinning. Thinning involves weight reduction of the thick hair. • Taper and Fade - If you need to have your hair cut up to the skin level, then you just request the hairdresser to give you a fade service. Additionally, for options whereby you need to remain with long hair on the top of your head, you can request for an undercut fade. In this case, the other hair will be removed up to the skin apart from the head’s top. Moreover, you can ask for a taper result; the hair is left to a considerable small height all over the head. • Haircut Grades - Depending on the style you need and the size of hair to be left, the hairdressers can ask you the grade you need. Usually, there are different set standards grade sizes that use numbers. For instance, number four against number three means that the former is larger hair size than the latter. The grades range from grade one, which is one-eighth of an inch to grade eight, which measures exactly one inch. • Buzz Cut - The style involves cutting of hair to a uniform and simplified look that leaves a very short height of your hair. Typically, you can tell the barber to give you a grade one haircut, and they will understand your requirement. • Crew Cut - It involves a style that almost emulates the undercut fade. However, the sides are not faded uniformly, but the hair is reduced more as you go down the heads slope. • Pompadour - If you need a hairstyle where the top hair layer remains, and the sides have a taper, then this is the one you will request. For the style to be distinguishable, you will need to ask the hairdresser to create volumes. In hairdressing, the term volume is a term that involves crowning of your hair, especially at the edges of the top layer so that you can quickly create its slope. • Skin Fade Haircut - The skin fade is a style that involves a pure fading of the hair on the lower parts or all sides of the head. The style is suitable for both the long top hair as well the taper.